Weekly food prep (i.e. cooking protein, making sauces, chopping veggies in advance) is a great way to save time and energy when cooking weeknight dinners; the time-consuming part is done, so all that's left is to throw it together to make a meal of it. Since chicken breast is so versatile (it pairs well with just about anything and works for any occasion), it's a great option for preparing ahead of time to be used throughout the week. This recipe is easy and quick, and doesn't require a ton of ingredients, so you can make it on Sunday and it'll be ready to chop or shred when you need it. 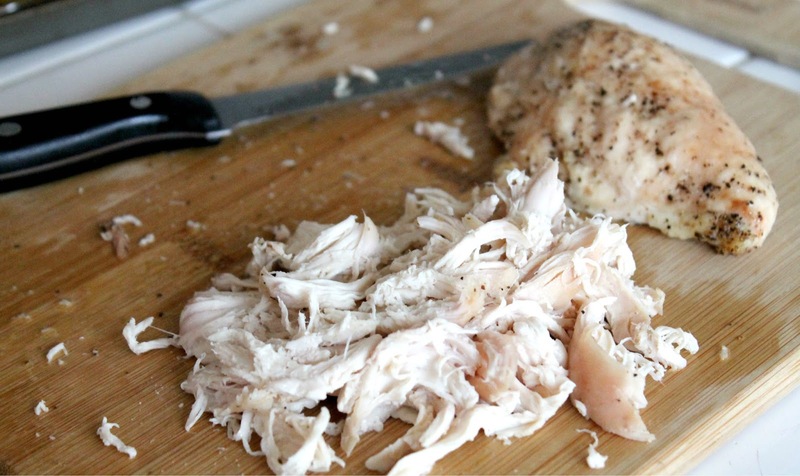 Make sure you buy the chicken with the bones and skin--it'll be less expensive and yield juicier, more flavorful meat. 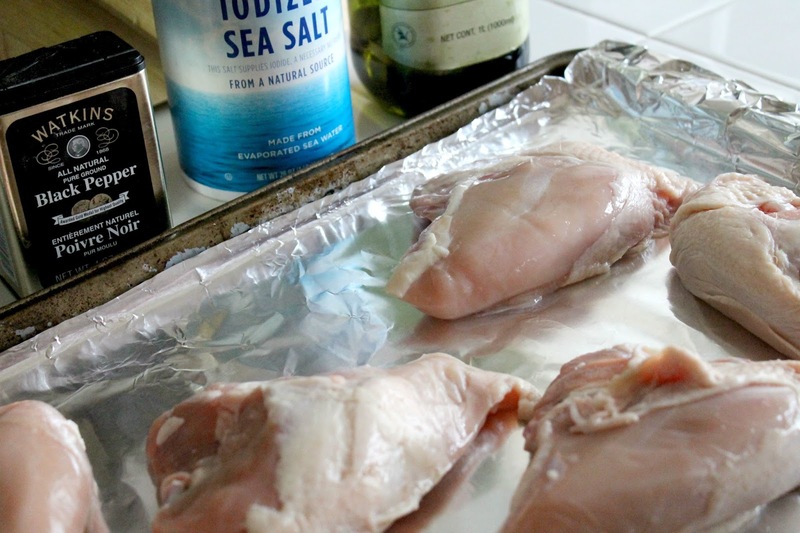 Preheat oven to 375 ° and place chicken breasts on a foil-lined baking sheet. Rub both sides of each piece with olive oil, then season each with a pinch of salt and pepper. 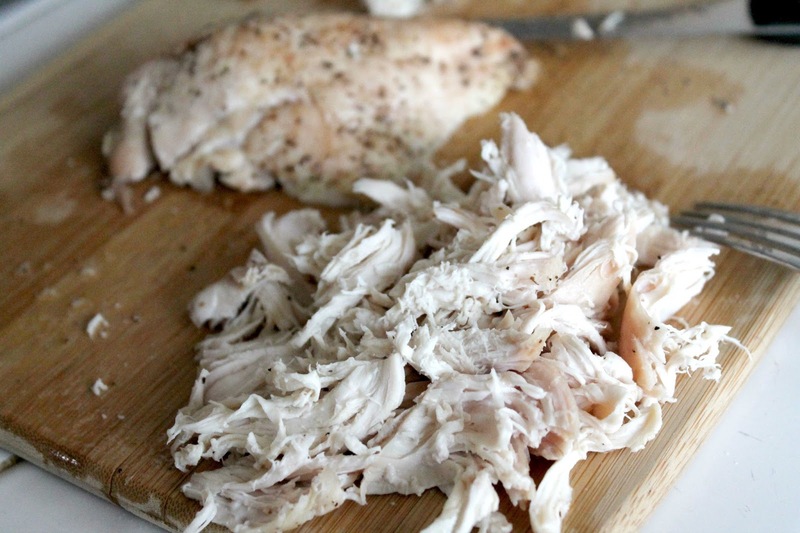 Roast chicken, skin side up, for about 45 minutes, or until a meat thermometer reads 165°. Since chicken breast sizes will vary, cooking times may have to be adjusted. 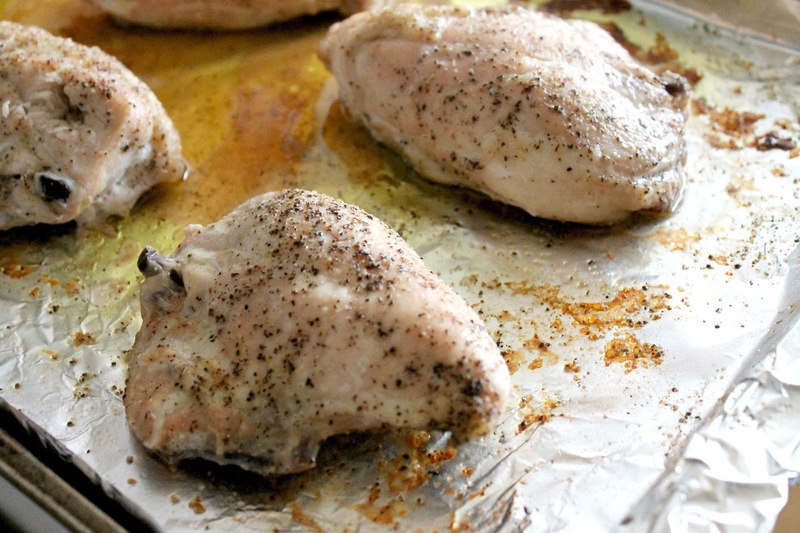 Remove chicken from oven and cover loosely with foil. Allow to rest for 15 minutes. You can use your hands or a knife to remove the skin and bones, then chop or shred meat and use it to make everything from soups and salads to pizza and quesadillas. You could also just leave it exactly as is and serve with some sort of sauce.